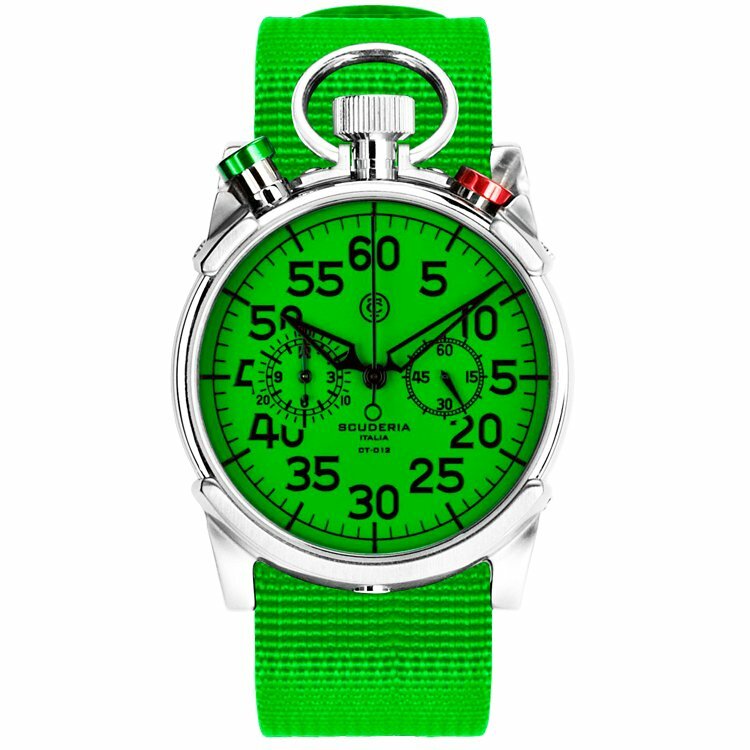 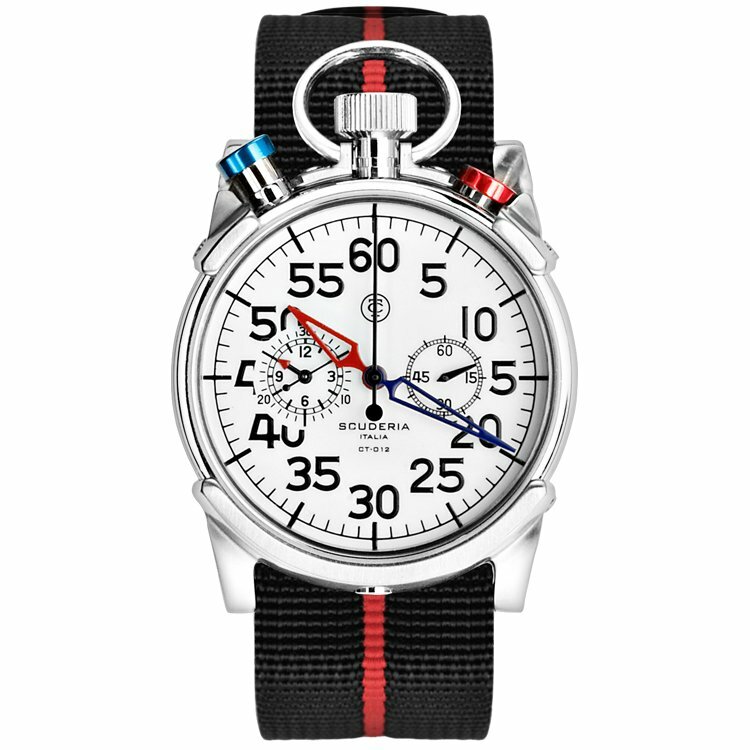 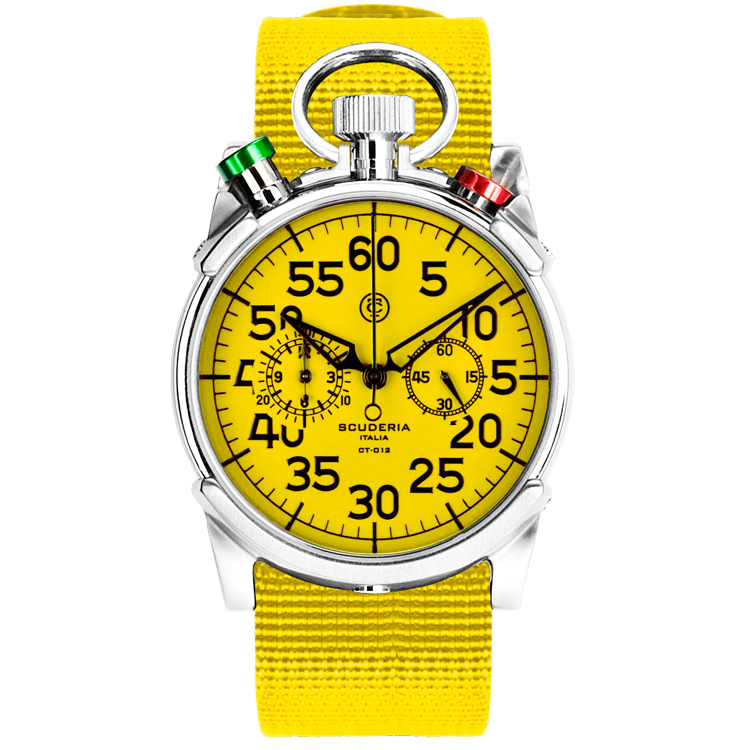 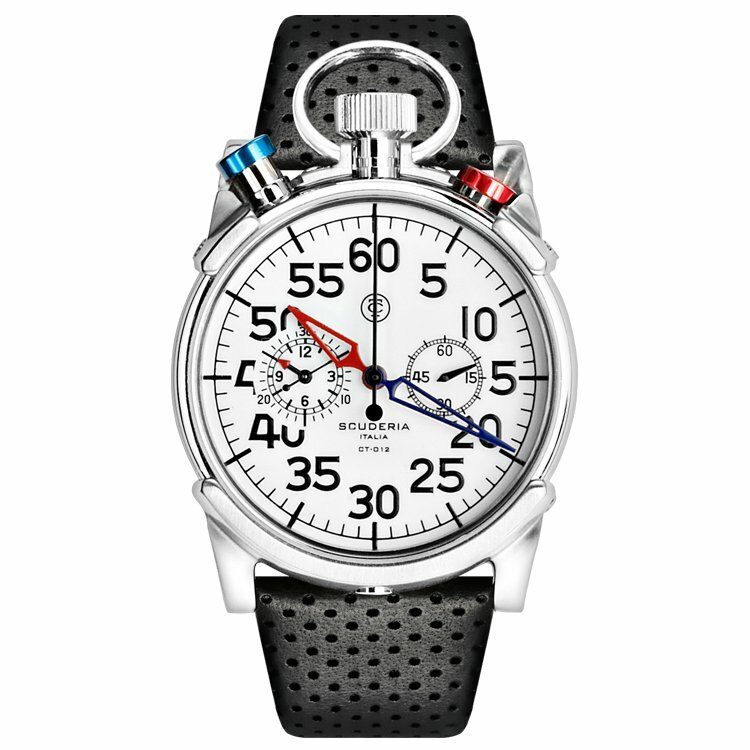 A 44mm chronograph inspired by racing stopwatches – in fact it looks like a stopwatch that grew straps. 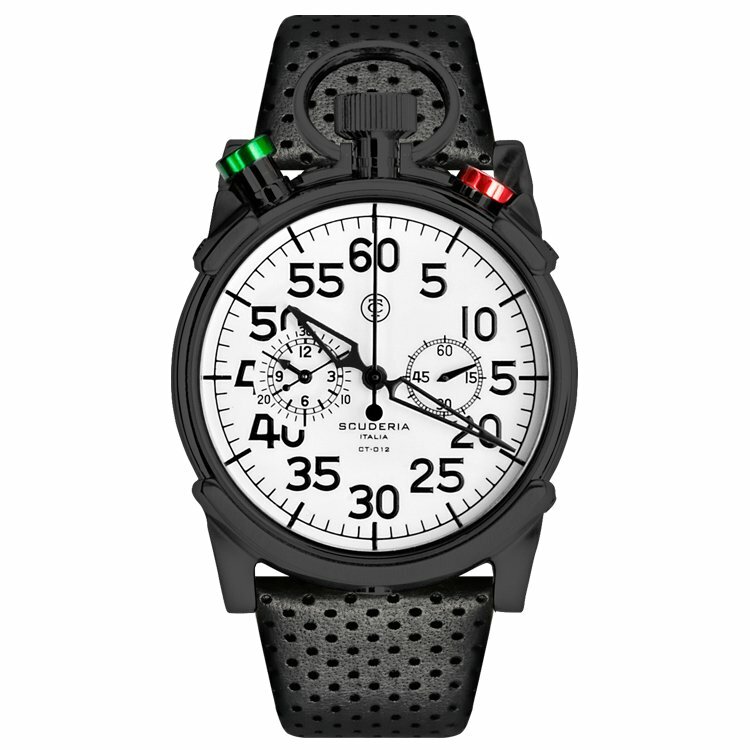 The Corsa is water resistant up to 10atm. 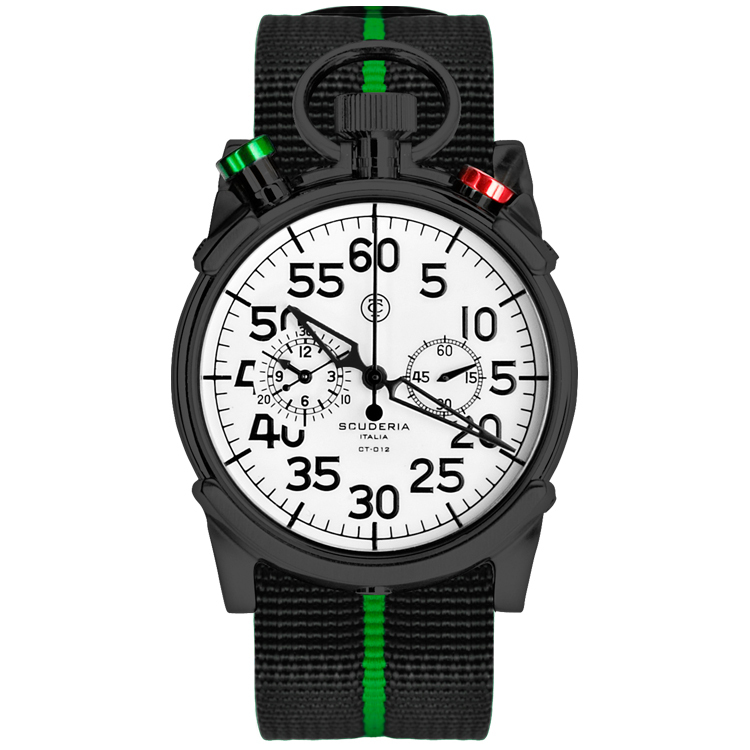 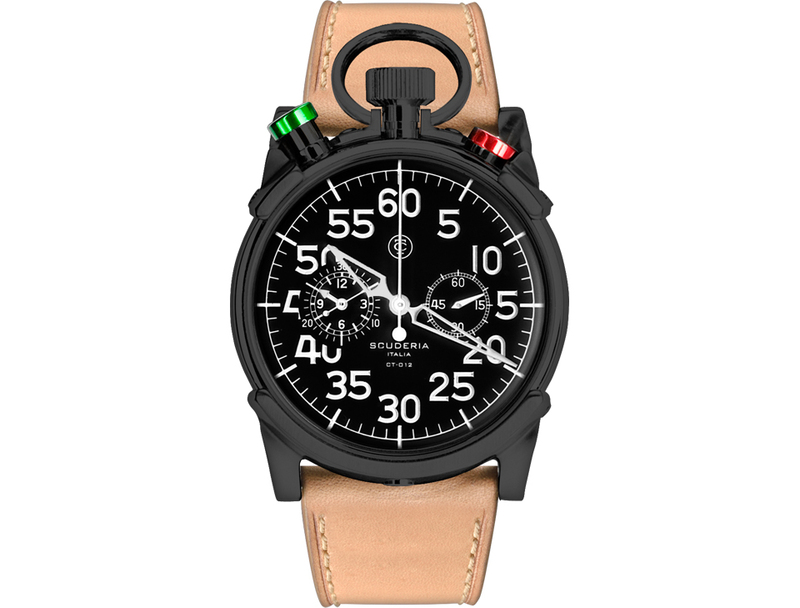 It’s available in a variety of colorways, with a matching leather or NATO strap.